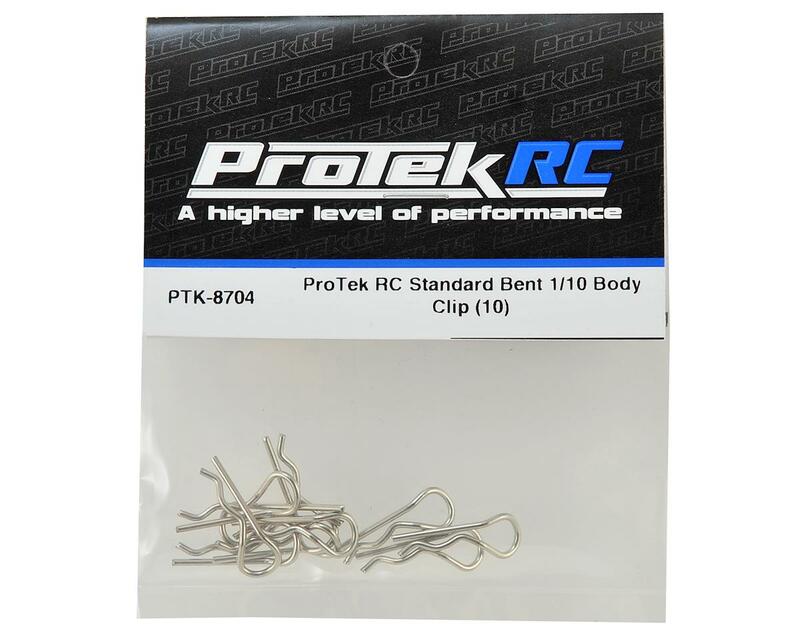 The ProTek R/C Standard Bent Body Clips are heavy duty, chrome plated body clips that are perfect for 1/10 scale size vehicles. 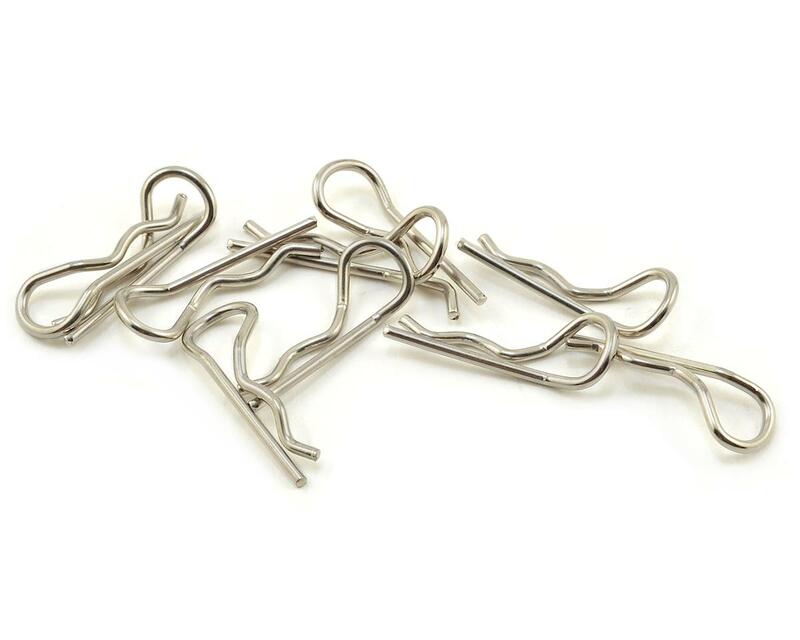 These clips feature a bent end that makes the clip easier to grab. Package includes ten body clips.